Netflix has released the official trailer for its upcoming documentary The Defiant Ones, which tells the stories of music legends Dr. Dre and Jimmy Iovine and their groundbreaking partnership. 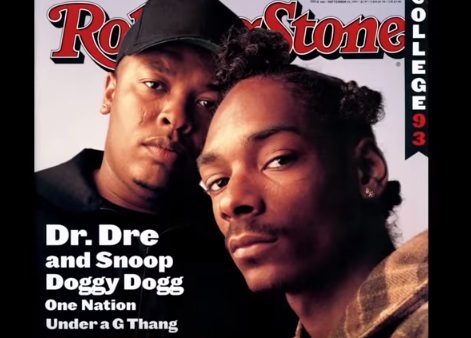 Directed by Allen Hughes, the four-part docuseries traces the rise of Iovine, the son of a Brooklyn longshoreman, and Dr. Dre, who came from Compton, in the ’90 music industry and the result of their joined forces, which translated into the launch of game-changing artists like Eminem, Snoop Dog, and more. The two co-founded Interscope Records and expanded their music partnership to a fully fledged empire, culminating in the creation of Beats by Dre. The series includes interviews with several music icons including Eminem, Bono, David Geffen, Nas, Stevie Nicks, Gwen Stefani, Ice Cube, Jon Landau, Trent Reznor, Snoop Dogg, Tom Petty, Bruce Springsteen, Diddy and will.i.am, as well as Dre and Iovine themselves. “Jimmy is the levitator, Dre is the innovator,” Eminem is heard saying in the trailer, which features never-before-seen footage from a multitude of recording and writing sessions with Eazy-E, Stevie Nicks, JJ Fad, Tom Petty, Bruce Springsteen and U2, among others. All four episodes will be available to stream on Netflix from March 23rd. Next story Simply Be TV Advert Song – Rules.Rewritten!